If you were to ask me what my favorite cocktail is, I'd quickly answer the French 75. This classic cocktail was invented in France during World War I, and then later became popular in the US at the legendary Stork Club during the 1920s and 30s. 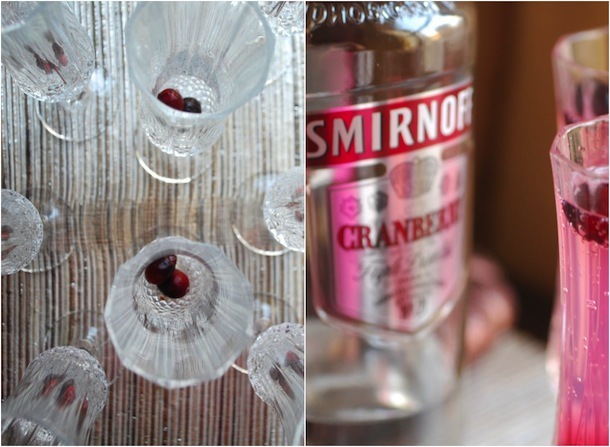 With Thanksgiving and the holidays quickly approaching, I decided to add a cranberry twist to the original, substituting the classic gin and lemon with Smirnoff Cranberry Vodka and a bit of tart cranberry juice (the unsweetened kind). Mixed with sparkling white wine or champagne it's an elegant and festive cocktail that's as fun to look at as it is to sip. The recipe below includes instructions for two cocktails, but if you're entertaining a crowd, you can multiply the recipe to fill a pitcher, and then just top off with champagne as your guests arrive. 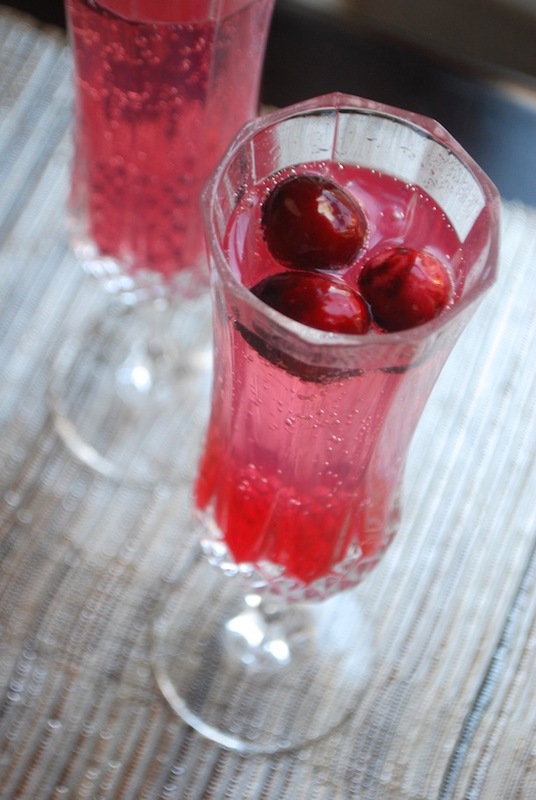 Don't forget the fresh cranberry garnish! Combine vodka, simple syrup, lemon juice, and cranberry juice in a shaker with ice. Shake until frosty then pour evenly into two champagne flutes. 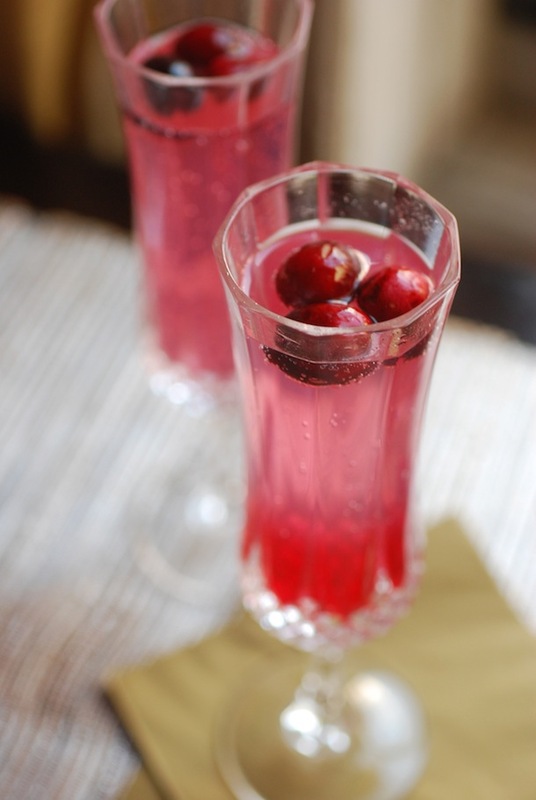 Top with sparkling white wine and garnish with fresh cranberries.